Last month, Marvel revealed who will play the title heroes in Marvel’s Cloak and Dagger and now they’ve confirmed six more have joined the cast of the Freeform show as series regulars. Andrea Roth (Rescue Me, Blue Bloods) is set to play Melissa Bowen, Tandy’s mom, who is the eternal optimist despite the struggles to adapt to her new existence. Gloria Reuben (ER, Mr. Robot) will play Tyrone’s mother, Adina Johnson, who invests every aspect of her being into giving her son the life she believes he deserves. Joining her is Miles Mussenden (Bloodline, Queen Sugar) as Tyrone’s father, Michael Johnson, who trudges through his desk job to keep his family safe and happy. In addition, Carl Lundstedt (Grey’s Anatomy, Conviction) will play Liam, a salt-of-the-earth townie who operates as Tandy’s partner in crime while moonlighting as her boyfriend, with James Saito (Life of Pi, The Devil’s Advocate) as Dr. Bernard Sanjo who has been an emotional cornerstone in Tyrone’s life; they have a most unusual relationship, and J.D. Evermore (True Detective, The Walking Dead) as Detective Connors, who is a contradiction of a man, embracing an intimidating persona that overcompensates for a secret he keeps close to the vest. “We are incredibly excited to be underway on our first Marvel project with such a talented group of actors that really enhance the world that our Cloak & Dagger live in,” said Karey Burke, executive vice president, Programming & Development, Freeform. 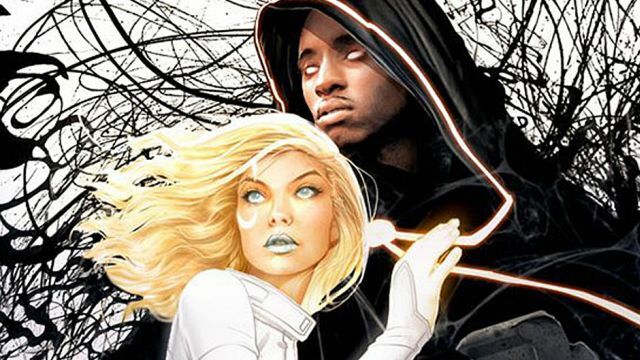 “We’re thrilled to fill out the rest of the talented cast on ‘Marvel’s Cloak & Dagger’ and join with Olivia Holt and Aubrey Joseph to make a show that fans, new and old, will enjoy,” said Jeph Loeb, head of Marvel Television and executive producer. Marvel’s Cloak & Dagger is a coming-of-age series based on the beloved comic characters. Tandy Bowen (Olivia Holt) and Tyrone Johnson (Aubrey Joseph,) come from starkly different backgrounds, each growing up with a secret they never dared share with another soul. The series is co-produced by Marvel Television and ABC Signature Studios. Joe Pokaski (Underground, Heroes) will serve as showrunner and executive producer, Jeph Loeb (Marvel’s Luke Cage, Marvel’s Iron Fist), Marvel’s Head of Television and Jim Chory (Marvel’s Luke Cage, Marvel’s Iron Fist) will also serve as executive producers. Gina Prince-Bythewood (Love & Basketball) is set to direct the first episode.